If you have not know yet, marathon has been the in-thing all over Malaysia now. Doubt it? Check out the run calendar here and you will be no doubt. I guess people tend to pursue a healthier lifestyle, and of course, just for fun. 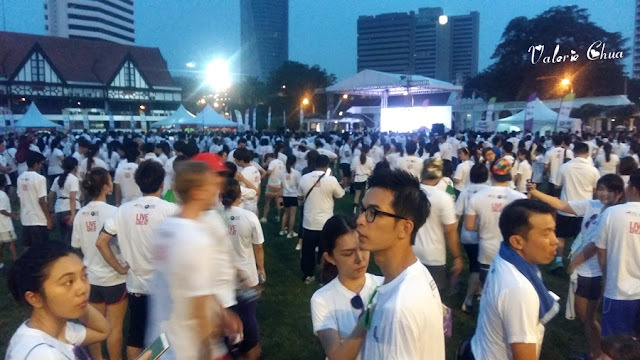 For me, who would love to pursue both healthier lifestyle and fun, have participated the Great Eastern Color My Heart Run 2015 Kuala Lumpur last Sunday. #1 The field was packed with runners, music, trainers on stage leading the warm up routine. I was wondering how long have I not wake up at 4am and get to see dawn? #2 Our first time exercise together. Please look at how clean our shirts were, before the run. #3 Tada! We are done with our 5km run! See how dirty and messy we are compare to previous photo! Love our heart shaped medal! So proud to announce that this is my first ever run medal! LOL. 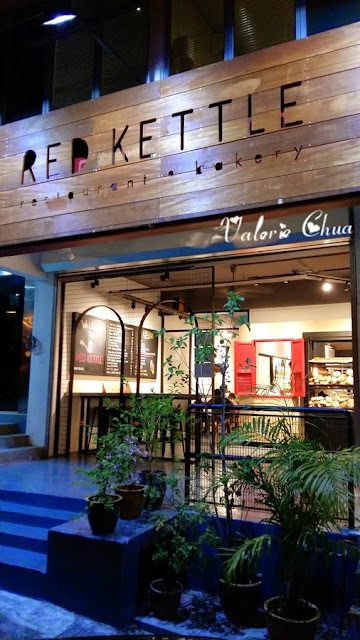 Recently this BBQ restaurant was so famous, received many positive comments among my colleague and friends, seems like is a must-visit restaurant. Me and my man decided to give it a try before our movie at 10.10pm, since we reached about 7pm. As usual, there was queue but not as long as what we usually saw, so we joined the queue. The waitress came and informed us that the waiting hour is about 45 minutes. we were being pretty positive that the queueing time should be less than that. #1 30 minutes after queuing. Finally, after an hour and 16 minutes, which is 76 minutes, they got a table for us. 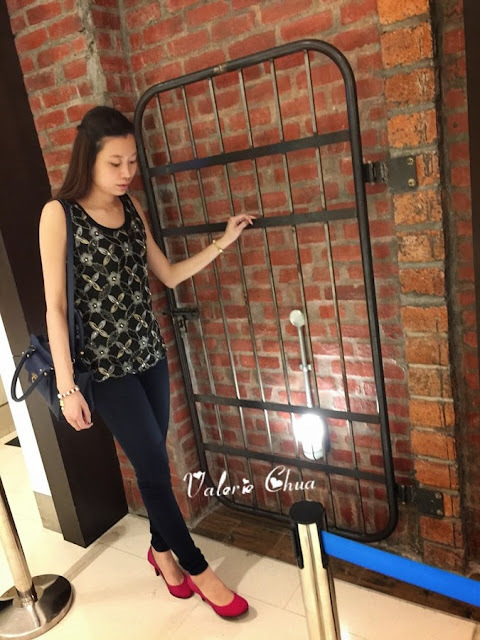 #2 The interior is like a brick house with wall painting, plus wooden chair with dark color cushion. #3 They have a live band there! #4 Raw vegetables such as capsicum, carrot, onions to add on flavor to your BBQ grill meats and seafood. #5 Three types of fruit: red apple, green apple and oranges. #1 A new cafe located in Taman Desa, same row as Soda Factory. #2 Menu is spelled out on the blackboard with small little clip arts. #3﻿ Ice cream machine out here!!! #4 Varieties of bread and pastry for your choice of preference. #5﻿ I like the overall clean, slate and modern interior design. #7 His Hot Honey Lemon, RM4.50. I am not a sour tolerant person. This is way too sour for me.